As I write this, the New England Patriots and Los Angeles Rams are preparing to face off in Super Bowl LLLIII, and I am probably one of five people west of New England proper who is rooting for the Patriots to win another championship. I root for them in part because I am in awe of their sustained excellence, but also because their two leaders are living, breathing examples of how foolish it is to try to quantify human beings through man-made assessments. New England’s forty-one year old quarterback, Tom Brady, is widely considered to be the greatest quarterback in NFL history. This man, who is a shoo-in for the National Football League Hall of Fame when he finally retires, was selected in the sixth round in the 2000 NFL draft behind six other quarterbacks and 198 players from all positions. He was selected that low because he performed poorly on the tests administered to players before the draft that year. Every year, prior to the draft, the NFL holds a combine, at which prospective pro football players are measured, poked, prodded, and asked to participate in a number of drills so the experts can judge their worth as potential pros. It is very similar to a livestock show one might see at a county fair. Regardless, there wasn’t a prospective quarterback in that draft that ran slower, jumped as poorly, or performed in drills worse than Brady did. In fact, he was historically bad, which accounts for his name appearing on a web site that lists the six worst performances in combine history. Scouts criticized his physique, strength, agility, ability to throw a football, and overall athleticism. According to the numbers, there were even offensive and defensive lineman, some of whom outweighed him by nearly one hundred pounds, who demonstrated more athletic ability than he did. His less than stellar performance on these measurable assessments was why he was not selected until so late in the draft. He just didn’t have what it took to be successful, the numbers told the men who make a living judging others. Some scouts were nice enough to suggest that he might be a good pick for a team looking for a practice squad player. But, that was about it. How can it be that a man who was one of the worst performers ever on a slew of assessments created by football experts is a sure-fire hall-of-famer and the best quarterback to have ever played? It’s really simple. Human beings are not robots, and all of us are comprised of intangibles. Those intangibles are often more important than a stop watch or a test score in determining our success. There wasn’t a test devised that could measure Brady’s dedication, work ethic, football IQ, leadership skills, commitment to excellence, and desire to improve. And, in the end, those attributes mattered more than test scores. Similarly, Brady is coached by a man, Bill Belichick, whose unique talents also can’t be quantified. Like Brady, Belichick is widely considered the best in NFL history at what he does because of his teams’ accomplishments over nearly two decades. Certainly Belichick’s football acumen is impressive, but pro football circles are packed with coaches with incredible knowledge of the game and with inhuman work ethics. What has set him apart from his peers are the intangible qualities that he possesses; i.e., his ability to lead others; his skill at creating a winning culture; his understanding of what leads to success; his incredible attention to detail; his ability to make decisions under pressure; his skill at evaluating the performance of others; and his willingness to make difficult decisions, to name a few. While I know many people suffer from Patriot fatigue, I love watching excellence in action, and everything about these two men and the people around them screams excellence. Instead of being bored with them, there is so much we can learn from them. I wish state policy makers would learn a thing or two from Brady’s and Belichick’s experiences. The high-stakes standardized tests our legislators have mandated for schoolchildren for the last two decades, and which are used to (supposedly) tell us all we need to know about kids and the schools they attend are nothing but a school version of the flawed NFL combine day. It is a pathetic attempt to assign numbers to the human experience, and that simply cannot be done effectively. Had Tom Brady been judged solely on his test scores from the 2000 combine, he would have been labeled as a failure and sent on his merry way. Thankfully, the best coach of all time saw beyond the numbers, and the rest is history. What a lesson that is for all of us. 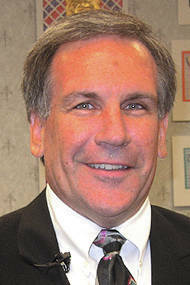 Tom Dunn is the former superintendent of the Miami County Educational Service Center.